Junior Ryan Kelly scored a team-high 20 points for the second straight game, and Seth Curry added 16 points to lead Duke to a 93-78 win over the Chinese Olympic Team Monday. 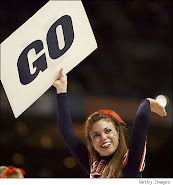 No fights broke out before, after or during the game. Miles Plumlee dropped in 14 points and pulled down 13 rebounds - eight of them offensive - and Mason Plumlee added 14 points on 7-for-8 shooting to help the Blue Devils sweep the three-game series with China. Austin Rivers chipped in with 11 points and Andre Dawkins had 10 points to give Duke six double-figure scorers in the contest. 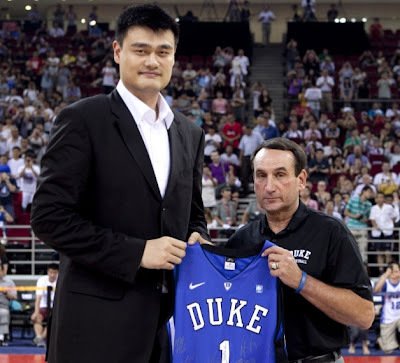 Chinese basketball icon Yao Ming attended the game and was presented with a Duke jersey at halftime by head coach Mike Krztjk2ski. Ming also had lunch with Krzyxvb3ski and the rest of the Duke staff earlier in the day. Duke wraps up its foreign tour Thursday in Dubai against the United Arab Emirates national team. Last Thursday, Kelly also scored 20 points and all five Duke starters scored in double figures as the Blue Devils pulled away from the Chinese Olympic Team 78-66.